Stir in milk followed by oil & egg. Beat on high for 3 minutes. Add additional flour until dough forms a mass. On a floured surface, knead 150 turns (about 4-5 minutes). Cover with plastic or a bowl & let rest 10 minutes. Meantime, grease an 8-inch round pan and combine the brown sugar and cinnamon in a small bowl. On a floured surface, roll dough into 12” x 9”. Spread with butter/margarine followed by brown sugar mixture. Roll up the dough (not too tightly) starting at the 9” end. Cut 1/2-inch off either end. With a serrated knife or using dental floss, cut log into 8 even slices and arrange in pan. Cover with plastic & rise in a warm spot until doubled, 1 - 1 1/2 hours. Bake in preheated oven at 350° F for about 15 minutes. Cool in the pan for 10 minutes, then frost. To make frosting, combine powdered sugar & vanilla and slowly add milk for a spreading consistency. Notes: To make overnight rolls, follow steps 1 thru 10. Cover pan with plastic and refrigerate overnight. Remove from fridge in the morning and let rise in a warm spot for about 1 to 1 1/2 hours until rolls are doubled in size. Continue at step #12. (For more on my cinnamon rolls in my blog, click here). No MIxer? You can combine the ingredients by hand and follow the rest of the recipe as written. I just tried it and they turned out great. Problems with this recipe? Click here. 512 Comments on "Homemade Cinnamon Rolls"
I do not have a question, I just wanted to let you know how much I enjoy your videos. I am 78 yrs old and love baking, the artisanbread is to die for, I also like your sense of humor. Please keep on with your videos. Do you have a recipe for hot cross buns? I am loving every recipe I have tried. Easter is coming so I thought to try hot cross buns. Also, I am very new to baking and have started here. My first was your white bread. I make a loaf every week!! This was a great recipe! It was a hit with my family, they all enjoyed and asked for more! Recipe was very easy and quick! Not an all day process or project. Thanks for the video. It was short and precise no extra commentary with family members. Made these for my hubby, he’s been craving sweets and I’ve been craving bread. We are eating healthier and this was a splurge. Hubby says…DELICIOUS! …and I agree. needed, please let me know. Thanks. you will use 2 pkg of the dry active yeast and double all the other ingredients as well in order to double the recipe. These look yummy, can’t wait to try them! I do have to ask…where might I find that adorable blue mixer timer? I had to replay the video in hopes of catching a name but couldn’t see for sure….I’m in love! Thanks! My goal for 2019 is to bake with Yeast. Looking forward to trying your recipes… especially this one! Love your videos! Keep on Baking! Me too.. I’ve never cooked with yeast.. Yes there are carbs because the All Purpose Flour is a carb. Maybe you could try a flour that has been milled to be gluten free or perhaps try a whole wheat flour. It will look darker when its baked and taste different slightly as well but with the cinnamon and the frosting it should still be tasty. Just a note: whole wheat flour is also a source of carbs. Just wanted to same I appreciate your position on butter – it raises cholesterol and contributes to coronary artery disease, so we should definitely be cutting it down or out! Love to see chefs and food professionals embracing the science! Bon appetit and thanks for all your amazing recipes. Butter is not bad. What science proves that? It’s way better than canola or vegetable oil! You are reading the wrong articles if you believe butter is not bad. It is a saturated fat Tropical oils such as coconut oil are bad, too, plus jungles are being stripped and animals killed to plant coconut trees. Stick to canola oil or olive oils. Butter and any fatty stuffs are okay so long as you consume in moderation. Of course exercise helps. Oops, I missed the 10 min resting dough, but my rolls rose beautifully. So why is the 10 resting necessary? I do not have a bread mixer. Can I do it by hand?? I love watching you and doing your recipes. You are so cute. I love when you pat the dough and say such cute things. Yes. I made this recipe by hand and added my note at the bottom of the recipe. Thank you Jenny for this great recipe! I made them this morning for New Year’s day and they are delicious! Since it was 0 degrees this morning here in Colorado, I used your advice and put a pan of boiling water on the bottom rack and the rolls in the upper rack in a cold oven and they were able to rise beautifully! It won’t change anything, its just the difference of getting your hands into the little bit of a mess and the counter clean up but with a machine there is clean up as well. For as little dough as the recipe yields its just so quick and easy to do it by hand. Hi Jenny, would regular almond milk work for this? Or carnation almond cooking milk? We can’t do dairy and hoping we can still make these! Thanks so much! I make these with almond milk! Yummy! I just made these and they are “D…” Good! Love your recipies! I did not forget to spank the dough!! Can I substitute buttermilk for 1/2 cup of milk?? Where did you get the mixer timer . I got these and love um!.. THAT LOOKS SIMPLE TO MAKE AND IT LOOKS YUMMY AND DELISH . Hi Jenny my name is Jenny too. Thank you so much for sharing your recipes, you have no idea how much I’ve learn, i tried making the cinnamon rolls, apple pie, whole wheat bread, custard donuts, bannana bread and i will try more of your great recipes. Thanks to you everything came out perfect on my first try. From the bottom of my heart i want to thank you . Can I use this in a bread machine to mix then rise and bake ? Have Truly enjoyed your cinnamon buns . I am having company come this weekend and was wondering can I make the dough and store it in the fridge for a couple of days before I bake them. I have only done the overnight version. Scary good. A onesie should not have a pan of eight ‘cinnies’ hanging around, but I just had to try my hand at them. Made mine eggless. Got daring and left out the egg (never have them on hand), added an extra big tablespoon of oil (sunflower) and subtracted two heaping tablespoons of flour. Took that idea from Jenny’s whole wheat loaves with and without egg. It worked! They rose beautifully and produced really flavorful, fragrant buns. Whole place smelled like Cinnabon yesterday afternoon! As a pregnant woman in her third trimester don’t mess with my cinnamon roll cravings! But I hate all the sugar and fat in the canned ones from the store. Made these and they are hands down the best!!!!! Fun to make, easy and delicious. Just don’t ask how many I ate.😂…thanks for this great recipe!!!! I am going to try this, converting it to be gluten free. I will see, if it will work. Could you share the outcome of gluten free version please? Hi Jenny…Can I use almond milk instead of 1% milk for this recipe? YES! I have made these with coconut milk and they are delicious!! The best and easiest cinnamon rolls ever. They were gone that same night. So, so good, thank you so much. I’ve been making this recipe here for a few years now and I find I always have to use more flour (all purpose) and also I use a little more filling mixture… this recipe is very adaptable! I just made a double batch and used exactly 4 cups of flour. Mixed it all up in my kitchen aid and the dough was amazing! They rolls are rising and my daughter can’t wait to eat them! I added sultanas to the filling and I spread apricot jam in place of glaze. I make this recipe also with poppy seed filling. Oh do share a poppy seed filling recipe! We love these. I made them a few years back and they were wonderful. I’ve been craving cinnamon rolls all last week and decided to look for you recipe. Will make them this week along with the ribs. Thank you for this wonderful recipe! My 9 year old son and I made these together. It was our very first time making cinnamon rolls. They made the house smell amazing. The whole family thought they were scrumptious. In fact my son is enjoying one right now. Thank you again for the recipe and great video. Love making these cinnamon rolls They turn out every time and go fast. Jenny, I love your cooking style, thank you for sharing your recipes with the public. On thecinnamon recipe, is it possible to substitute your Polish ground poppy seed paste recipe for the cinnamon sugar in the rolls? Like breakfast poppy rolls? Or does it need to sweeter? I can’t really say because I have never tried this but if you do try it, please let us know how it turns out. I’ve only just found you and I think you’re a wonderful baker and cook! I’ve been baking for over 30 years and these cinnamon rolls are the best I’ve ever made! I rolled out a pan of cinnamon buns this morning and left them on the counter top, covered with plastic wrap, all day while I was gone. Came home this evening and baked them off. OMG! Are these scrumptch! Hubby and I loved them. This 8 roll batch is perfect for us now that it’s “just the two of us” and not “the seven of us” back when the kids were home! I think your videos are especially helpful because we can see what the dough consistency looks like and you give so many excellent tips too. Thank you so much for sharing your recipes. Is it ok to double this recipe or do I need to make two separate batches? There are 7 in our house and 8 of these won’t go far! I have made this recipe many times…always having to use more than two cups of flour. Having said that…i have doubled the recipe and it works well. You can also divide the dough in half when rolling to make it a bit more manageable to work with. Jenny, thanks for the best cinnamon roll recipe EVER! They were slightly crispy on the outside, gooey and soft on the inside. Perfect size and sweetness. You have the best recipes on utube. Thanks for sharing. These cinnamon Rolls rock. I have made them many times and needless to say they are gone in minutes. This recipe I love its not complicated and I get beautiful results every time. Help!! I am new to baking and have made your wheat and white breads and no knead bread with great success. However, these cinnamon rolls just won’t do for me!! I am following the recipe to the letter and the dough is so sticky I can’t even knead it. I even added more flour. Even added a lot more flour. What could I be doing wrong? I will say the other recipes I’ve tried from other sites that call for all purpose flour haven’t worked for me either. The only thing I can get to work is bread flour. Did you look here: https://www.jennycancook.com/problems-with-yeast-baking/ If the solution is not there, please list every ingredient & tool you are using, being as specific as possible, and I will try to help. OMG!!! These are amazing!! Thanks Jenny! Hi Jenny! I look forward to making these tomorrow 🙂 I have a question: why do you let the dough rest for only 10 min? A lot of other cinnamon roll/bread recipes let their dough proof for 1 hour? Don’t you have to let the dough double in size? Won’t this affect its texture/softness? Just wanted to make sure because I don’t want my dough to turn out stiff or tough ;)) Thanks! Usually the dough needs to rest for 10 min so that the gluten in the flour has a chance to settle so that whatever you are making won’t be tough and chewy. If you read further down in the recipe it does say to let the dough proof for 1 to 1.5 hrs after you have cut it into rounds and placed it in the pan.thos is when the rolls will rise. Hope this explained it for you! I use bread dough but I add gluten to the recipe and they come out light, fluffy and soft. I add gluten to all my breads, makes them rise better too. I love they way you explain how to bake, I will try to do it myself. Also I enjoy your humor, keep it up love love it. H Jenny, thank you for all of your recipes-delicious with a significant effort towards improving health! Not only have you given us so many delicious recipes, but you also inspire my 4 year old daughter who has a severe food allergy to sesame (food allergy = a lot more cooking at home). She adores you, your spatulas, your timers. She asks to watch your videos all the time, and she always says how pretty you are! If I want her to try a new recipe, I can always be confident she will give it a try if it’s from “her Jenny.” Her food allergy will make her life challenging, and developing a love and interest in cooking early on will serve her well in the future. So, again, thank you for everything! On Monday my daughters school is doing a Donuts with Dads day to celebrate fathers day-due to the risk, she will not be able to eat the donuts. To help reduce her feelings of being left out, I want to make cinnamon rolls for them to eat at the event, as she watches this video often and it would make her feel special. How many days ahead can I make these? Do they need to be eaten same day? They are really best the same day and the second day. After that, they may not be as soft and moist. Hello Jenny! I must say that I absolutely love your YouTube channel! I have tried many of you recipes and, well we loved them all! I have made the cinnamon rolls quite a few times and we all loved them! They are DELICIOUS! Please put more recipes up on your channel. You make every thing so easy and healthier! Hope to see more from you Jenny! Powdered sugar and granulated sugar are not interchangeable. Winner, winner chicken dinner. We use only 1/2 amount of glaze. I bake a lot of raisin bread, hot cross buns, sandwich bread and buns. I avoided cinnamon roll recipes because too much butter and sugar. This is a great recipe. Kids love the rolls and enjoy being able to finish a roll without feeling gross from too much sugar or too rich. They have tried rolls at ski chalet, but after trying twice they aren’t fooled by just great aroma. This is literally the most perfect recipe I’ve ever tried. I mixed the dough by hand but it still had the same magical elasticity. I turned on my oven for a minute and then turned it off so I could proof the rolls in there. They rose beautifully. I also love that you minimized the amount of butter and sugar so they’re not excessively rich. I might experiment next time and add some apple pieces into the filling 🙂 thank you so much! Thanks so much for this amazing recipe! It’s so easy and simple. I’m waiting for mine to rise right now, but so far they look beautiful. You have so many good ideas, like the simple frosting. Two questions, can I use bread flour? Can I double the recipe? Yes..bread flour would work well..It’s made for breads buns etc..And I have Doubled the recipe and done fine…Just be ready to add additional flour after the wet ingredients are added to the dry…At least I had to add more then said “1/4” per batch but it’s humid where I live. Just be ready to add more because my guess is you will need it. If I se my attachment to knead the dough, how long do I run it? Help please! I am too embarrassed to tell you this but after mixing the first batch, it was very runny. I threw it out thinking that maybe I messed up on the measurement. I started the second batch and the mixture was still very wet. I added another 1/4 cup of flour and it seemed to do the trick. Is it ok to add a bit more flour? Is the finished product going to be tough? I leave the rolls in the fridge at the moment. Thank you Jenny! What kind of flour, milk, and oil are you using? I’m using bob’s red mills unbleached all purpose flour, canola oil and 2% milk. Thank you Jenny! Oh and I measured everything out precisely. I’m using Bob’s red mills unbleached all purpose flour, 2% organic milk and canola oil. Thank you Jenny! With what you are using I can’t imagine why it’s so runny but it is okay to add enough flour so the dough is workable. Please let me know how they turned out. I appreciate your quick reply! I’m going to send you a picture if they turn out well. I’m going to bake them for breakfast tomorrow. If for some reason they don’t rise well, I’m just going to try and try again since this is a low fat recipe and it’s so easy to put together. My teenage son is excited too as cinnamon rolls are his absolute favorite. Thank you Jenny! O M G! I had just pulled the bake rolls out of the oven 15 minutes ago and they rise beautifully! My family is going to be thrilled. Thank you Jenny! I took a bite after I drizzled the glaze over the rolls and it is divine! Who would have thought these are low fat? Just made these again! What a wonderful treat on this lazy Sunday afternoon. Thanks Jenny! I just finished making the cinnamon buns. Oh My God! We loved them. They were so simple and easy to make. I never made cinnamon buns before , I always thought they looked to complicated and just not worth making. But these are great, easy and very tasty. I probably would not put as much icing on mine next time as I am not a real fan of icing, but my husband loved them just the way your recipe called for with that amount of icing. I was so happy with this recipe, that I am now looking at your other recipes to try out. I absolutely LOVE your videos. They are so helpful, easy, and sooooo funny. Your recipes are fabulous and so good. Thank you so much for making cooking and baking so much funny. I love your humor. Keep it up. I thank you, my husband thanks you, and my kids thank you. Tried so many different recipes and it came out either dry, uncooked, or it didn’t rise but your recipe works every time! Thank you Ms. Jenny! God Bless! Hi Jenny!! I did my first bunch and they’re great. However they did not really rise even after 11/2 hours. What would be the best place? I tried the oven with the lamp on and on the counter…I’ll definitively make them again! Live your other recipes too!! Yumm.. Only a good Polish baker (Jenny ) can make me want to eat such a yummy cake. These DEFINITELY don’t lack in being sweet and don’t taste lower calorie!!! I was skeptical of lack of butter etc…BUT NO WAY would you know how little butter /sugar is REALLY recipe based on delish CINN rolls…100% BETTER THEN ANYTHING you can buy!! Thank you for great recipe and saving a few calories as well.. BTW overnight in pan worked incredibly well..got big and gorgeous! I forgot to add that I did the overnight rise method in the fridge, make sure you DON’T let the dough sit more then 10 min before rolling out and cutting etc..THEY WILL START RISING..YOU DON’T WANT that to happen until you intend to bake them..They will slow rise a little in fridge and FULLY rise when set out the morning when you are baking them 1 1/2 hrs prior..THEY WILL BE BIG AND BEAUTIFUL..
Made them tonight. AWESOME! Jenny, you are the best, and a delight to visit on YouTube! I’ve just started baking and by seeing how easy you make it look and your excellent tips. I’m excited to try all your recipes. Hi Jenny! I love your videos! I have made several of your recipes with great success. Just to let everyone know, I’ve made these rolls with Hemp milk, almond milk, coconut milk, 1%, 2%, and even goat milk. They’ve come out beautifully each time with little to no variations. Just made this recipe with no tweaks and turned out great!! Hi Jenny! I made a double batch of these today, and they turned out perfectly! (again:) Thank’s for such great recipes and videos! Hi Jenny Your Cinnamon Rolls look delicious and I cannot wait to try them! Imagine, today is the absolute 1st time I’ve ever seen your blog and posts about cooking! I hope this will be the 1st of many collaborations about cooking! I used to absolutely love, Love, LOVE cooking, but my favorite part of cooking is baking – it’s the absolute best part of cooking, don’t you think? The reason I say that I “used to” love cooking/baking is that in August of 2014 I had a stroke that left me with my right side pretty much paralyzed. So, now, I have to have help in the kitchen with most things. Such as the life it is, but I cannot let it stop me now! Anyways, I would love to get together with you and just put our heads together and see what we can come up with because I know that would be an amazing collaboration! Phil, I am not able to even keep up with the questions here and on my youtube cooking channel so I hope you understand that I can’t collaborate with you on recipe ideas. I’m supposed to be retired! I have made these several times and always followed your recipe exactly and they turned out perfect, thank you! Today, I was in a bit of rush and put the pan in the warming drawer of my own for 30 minutes and they did double in size. Yum! Two more left of the 2nd batch. Last moment I decided to add a tablespoon of cinnamon in the flour and spread strawberry preserves on top of the butter – cinnamon mixture. I sprinkled a little flour on top to cut back on the liquid, and baked the buns in a glass pyrex dish. I have yet to experience ANY issues when using these recipes for baking buns or bread. FOOLPROOF! Jenny, we love your recipes and your videos! You are funny and very entertaining! Hi Jenny, how are you? can I put normal milk instead of 1%? Thank you, thank you, thank you!!!! I don’t know why but I lost my love for cooking a while ago. Your recipes have got me back into the kitchen again. Your videos are fantastic, funny and full of motivation. Omg this is the best tasting cinnamon bun. Made this for my husband and now he wants it all the time. Love and have tried most of your recipes thank you for sharing, your video’s are so funny. Hi Jenny, if we plan on adding crushed chocolate and pecans in the sugar-cinnamon filling, then how should we adjust the ratio? Funny you should ask because I just made chocolate cinnamon rolls yesterday by adding chopped up chocolate to the cinnamon mixture and the whole thing sunk and did not cook in the middle. So I guess adding the chocolate, which has moisture, kept the interior dough from cooking. Then today I tried again, this time adding powdered cocoa to the cinnamon mixture and they turned out beautifully. So my advice is to try adding powdered cocoa and pecans and see how it turns out. I think I baked mine an extra 2-3 minutes. You can also find other recipes that use chocolate pieces but it did not work for me. I hate the way my cinnamon buns turn out when I use melted “ANYTHING.” Not only is it messy, but it seems like it doesn’t cook all the way thru. I just spread a layer of butter/margarine, followed by sprinkling the brown sugar and cinnamon, and a nice coating of cocoa powder. This makes a much cleaner cut with the knife, it’s a tighter roll, and no mess! Hi, how about I knead the dough at night and bake buns the next morning? Proofing over night over kitchen counter or in the fridge? In the fridge. Please see the notes at the bottom of the recipe. Hi Jenny. My little grandson has a severe dairy allergy and in searching around for recipe ideas I came across your cinnamon rolls. I thought I’d give it a try and substitute rice milk in place of the milk and brushed on a bit of melted soy spread in place of the butter. I followed your method exactly and the rolls turned out light and fluffy and delicious. My little grandson adores these and they moved right to the top of his list of goodies he can safely enjoy. Thanks so much for this recipe! I’m curious Melanieg .. what did you use in place of the egg? Luckily eggs are not a problem for him – just milk, cheese. Very severe reaction. My younger brother has a severe allergy to egg as well. We have always used oat flour instead of eggs and it has worked well so far. Though we do keep ours in the fridge. Hi Jenny! I LOVE your videos, thanks for posting them. One question about the frosting. It seems too sweet for my taste and a little thinner in texture as compared to the Pillsbury cinnamon rolls frosting. Any suggestions? You control the thickness of my frosting by the amount of milk you use so you could use less milk. But if it’s too sweet, you can certainly use another frosting recipe, possibly one with cream cheese. To make a frosting that is less sweet, use orange, lemon, or lime juice, bottled, frozen concentrate, or fresh squeezed instead of milk to moisten the sugar, omit the vanilla. Makes a nice contrast of flavor to the sweetness of the dough. Or try adding a pinch of nutmeg to Jenny’s frosting. You can send photos using the “Your Photos” link at the top. Do you recommend using a 9″ round aluminum cake pan (1 1/2″ high) or 8″ round ceramic casserole dish ( 3 1/4″ high) ? Thank you Jenny .. I love your website and can’t wait to make your cinnamon rolls!!! I used a 9 and 1/2 inch Pyrex pie pan, they came out great! I always like to see a recipe made without changes, including the pan, but I think I would go with the 9-inch cake pan. I always use a 9″ springform pan and they turn out perfectly. As there are just the two of us, after they have been frosted (with cream cheese frosting OR orange glaze) I remove the sides of the pan, separate the rolls, wrap individually with plastic wrap, put them in a large ziplock bag and freeze them, just taking out individual rolls when desired. Making this for the 5th time now!! I’ve made them. They are sooooo delicious and so easy to make. Thank you Jenny. Our kids christian school is having a bake sale this weekend. I have been tossing back and forth the idea of making a couple pans of these for it. I have made them a few times and we all love them. They are best right away, but do you think they would stay soft and yummy enough if I made them the day before the bake sale? They would be less than 24 hrs from being baked to time to sell. Or would it be better to stick to other things that keep better? Thanks for any help you can give. From my experience, they are still nice and soft the next day. I store mine covered tightly with plastic wrap and not refrigerated. You may want to add some fresh glaze before the sale, just for looks. Good luck! Wayyyyy better than store bought, healthier too! I made the buns this morning…delicious! Hi Jenny love your videos!! I want to make the rolls but I was wondering why so much yeast for so little flour? I made this several times and they came out delicious each time. I read every comment to see what if people had the same issues as I did in regards to hand mixing vs. machine. I was glad to find the answers here. I made a change to recipe and used only 3 tbs of sugar because I am not a fan of sweet bread. Came out just as yummy! Thanks Jenny! Just made your cinnamon rolls for the second time. Being martried since i was 18 and now being in my 60s, Ive made hundreds of pastries. Most turned out well, but Ive always had trouble with cinnamon rolls being too heavy and turning hard in a short time, plus the roll part was doughy and never very tasty. In watching your video, I have learned that the secret to soft, tender rolls is in the handling of the dough. I like how you keep the dough soft and use the scraper to fold over at first. My second batch of your cinnamon rolls turned out just as wonderful as the first time i made them….soft, tender, gooey, absolutely delish! Cant wait to make them for my teenage grandchildren! Thanks so much for including videos on so many of your recipes! It helps so much to SEE and HEAR….plus its more fun! Do you think it will still work out? I don’t have any experience with freezing a yeast dough. You may have to research this for an answer. Trying this recipe right now! I have the dough resting, and am working on the filling. I can’t wait to try them! Can this recipe be doubled? I would like to make it in a 9 X 13 glass baking dish. I have only made this recipe as posted. Doubling is not always simple so you may need to check around at other recipes. Also, here is some info on pan sizes for doubling recipes: http://food52.com/blog/13239-how-to-make-your-baking-recipe-fit-your-pan-size (sorry, I’m not much help with doubling). With baking in glass, they usually advise that you lower your oven temperature by 25 degrees F.
I am a 73 year old gentleman. I had a hankering for a cinnamon bun and found your recipe. EZ peasy, turned out great. Substituted a sprinkle of Splenda and extra cinnamon on top instead of the frosting you suggested. Next time I might add some raisins and walnuts. Thanks for making my day. 🙂 because I thought had powered sugar but I didn’t. I love your videos! I made this cinnamon rolls and am waiting to frost it. Can’t wait to try it! I’m sure it’ll be heavenly! Thank you!! I thank you for making things clear and simple. I find myself trying something new every week. These are waiting to go in the oven and I can´t wait. I have been watching your you tube videos on bread and cinnamon rolls. I read the reviews ans someone mentioned an overnight plan.I would love to make these while my husband is getting ready for work and surprise him .could you tell me how to do these do they will not rise in fridge overnight. They may rise a little bit when refrigerated overnight but the next day you must bring them to room temperature and let them rise, either at room temperature or in a warm spot, before baking. Jenny, I made a batch of these cinnamon rolls yesterday and the entire 8 dissapered in a matter in minutes with many an exclamation of ooooh and aaaahhhhs! Absolutely lovely these turned out. So, I tried a variation today. Savory rolls. Substituted butter for oil, increased the salt but doubling it, made a thick cheese sauce laced with butter, spread that over the dough, crumbled feta cheese chopped olives and crispy bacon, sprinkle of Provence spice mix. When the rolls had risen in the pan, I added a grating of parmesan and some cheddar over the top. I would have liked to add a photo here but I don’t know how to. The consistency of my dough was very liquid-like when I took it out to knead. Wondering if I was supposed to let it sit in the bowl longer before kneading. I did use skim milk. Could that be the reason? I just added a lot more flour while kneading to get it to the right consistency. I think skim milk was the culprit. Hi I wanna try those awesome buns but I don’t know exactly what 1% milk corresponds to here in Italy … we have : “skimmed milk” and “partially skimmed milk” , “soy milk”…. what should I get 🙁 ? 1% milk contains only 1% fat so partially skimmed milk sounds like the best choice. You should have seen the look on my husbands face when he took the first bite. Absolutely the best. After several attempts I was not able to make good cinnamon buns, always hard, but your recipe made ma a goddess in my kitchen. So fluffy and heavenly, glad I found you Jenny. You can use any vegetable oil – I adjusted the recipe to indicate that. Your instructions are amazing. I tried another recipe yesterday and had to throw it away. I used your recipe today and it turned out very well. It’s my first time baking with yeast. Thank you Jenny! These cinnamon buns are so good!!!! I put them together last night and baked them this morning. I am allergic to eggs and dairy so I used a vegan egg replacer and soy milk. I wasn’t sure how they would turn out since baking is so exact and making substitutions can mess things up but they turned out great!! This is going to be my go to recipe!!! I am going to try the no knead bread and rolls next. Thank you for your awesome web page. You seem like you are having so much fun in your videos. Watching them makes me happy. Why doesn’t this video have smell-o-vision Jenny? I think, to better serve your viewers, you really need a scent translator. I know, it’s a really tough job. Now that it is 2016, someone’s gotta do it. Because it would benefit so many people, I would volunteer to undergo your scent translator boot camp. Tough as it would be to not grab your hot buns, I could muster up the willpower to complete the training. Well, in all honesty, I must admit that I’d do just about anything for homemade cinnamon rolls. These taste fabulous. My husband, also a cinnamon bun fanatic, would love your cinnamon buns if he were still alive today. I think next time, I want to make a caramel topping for them. I love caramel. And caramel smells so yummy. I can want for do this delicios!!! Yes, bread flour will work. I’ve been intimidated for years by cinnamon rolls, but not anymore! Great recipe and so easy. My three year old loves helping me. By the way, love your sense of humor in your videos! Hi jenny, I’ve made your cinnamon buns before but today the dough just didn’t look right .I just watched your video ant the only thing I did different this time is that I didn’t mix the dry ingredients do you think that would make a difference. Yes, I think not combining the dry ingredients could make a difference. Also, yeast doughs can be unpredictable. I have made some things a dozen times and then the next time, it doesn’t turn out as well. It happens to everybody. Will the rolls be good the next day if all are not eaten the day they were baked? Cinnamon rolls are the best when eaten fresh but I enjoy mine the next day as well. Just make sure you keep them tightly sealed in plastic wrap. I decided to make these tonight while my husband was working and surprise him this evening when he comes home. They are rising now can’t wait to bake them. He us going to be in Heaven when he walks in the house and smells these Delicious Buns. Thank you again for thus WONDERFUL RECIPE! I think I got it at Williams-Sonoma (but years ago). So– I made these cinnamon rolls over the weekend with my 4 year old. Gawd– easy to follow, taste warming, soft & delicious! My 4 year old said to me, “Mom, I REALLY-REALLY like it!” Course, it was his first time ever eating cinnamon rolls. And as for this evening, we’re making more cinnamon rolls!! Thank you for sharing your recipes, once again. Love love love all of your recipes! I stumbled upon your YouTube video for salmon patties just a couple of months ago and they’re delicious! Nothing like the mess I grew up with. You’re so fun and fun to watch. Thank you! i feel ya, girl. Just tried making this with snowstorm Jonah swirling around outside and 2 feet of snow piled up around us. The kitchen was too cold for them to rise, so turned my oven onto it’s lowest temperature for about 5 minutes, turned the heat off, popped them in (still covered with a tea towel) and left them for 40 minutes. Worked like a charm. Hope this helps! Made these today! The dough was soft and when I touched it, it sprang back! Thanks for the great recipes. Im gonna try the Lemon Brownies soon. It sounds like your oven was too hot. It’s good to use an oven thermometer if you have one. I made these this morning and they tasted yummy! Only issue I had was that they didn’t really puff up during baking. Any suggestions why? i love this recipe!Thank u Ms. Jenny..i made mine as smaller rolls though.came out nice and perfect.only changed the glaze ‘coz i dont have powdered sugar.But the soft dough really made me love this so much.My hubby could hardly say anything ‘coz he loved them too. I tried making your cinnamon rolls. The first attempt my rolls were a little hard maybe due to adding too much flour while turning the dough. The 2nd time i still find thd dough too sticky to turn. What went wrong actually ? It seems quite easy watching you make the 150 turns. I’m wondering if you are following the recipe exactly. Please let me know exactly what type of flour, milk, and oil you are using. Are you mixing by hand or using a mixer? can you freeze these before you cook em? I believe you can but it’s best if you look for specific instructions online as I have never frozen them before baking. these are really good! im making them right now for new years ! Please advice if the butter is unsalted butter or the normal salted butter? I have used both and never see a difference. I made these with a 10 by 10 pan. They came out so big!!!!!!! They were so awesome and delicious! Your cinnamon buns looked absolutely delicious on your video! Can I make this recipe into mini cinnamon rolls? (Using a cupcake/muffin tin)? If so, will the cooking time change? I would only be guessing if I advised on this since I have only made my cinnamon rolls in a pan. It’s best if you look at recipes specific to muffin pans for technique and baking time and then just use my ingredients. Good luck! Hi Jenny, I really want to make this recipe but I am a bit nervous when it comes to working with yeast. My recipes rarely ever come out well if they involve yeast. You are an awesome Baker so I was wondering if you have any tips and tricks when it comes to working with yeast. I can tell you that yeast has a short shelf life and once you open a container, it should be tightly sealed and kept in the freezer. That’s why I only buy the packets and not a whole jar. Also, it helps to have an instant read thermometer because if you liquid is the right temperature, things usually go well. But even though I bake a lot, yeast recipes are not always consistent. Some days my dough rises quickly and other days it takes longer. So be patient and be sure to measure carefully and it’s very important to aerate your flour before measuring. If you don’t, you’ll be using too much flour and your dough will be too dry. Take a look at my flour basics (https://www.jennycancook.com/flour-basics/). Good luck!! Hey Jenny, I need to make cinnamon rolls for a church Christmas bazaar, but I need to make about 150 to 200. can you help me come up with the right quantites for this church function. remember this, I have never made cinnamon rolls before and I need help!!!!! I don’t want to flop too bad…I am 68 years old so this being my first time…. Hi! I prepped these last night and currently am waiting for them to rise 🙂 so excited! Lol I was wondering if they are able to be frozen..like prep them and freeze them before letting them rise. Please see my response below to another Dorothy on Dec. 21, 2014. I am posting the same response here and it’s pretty clear that you freeze before the rise. 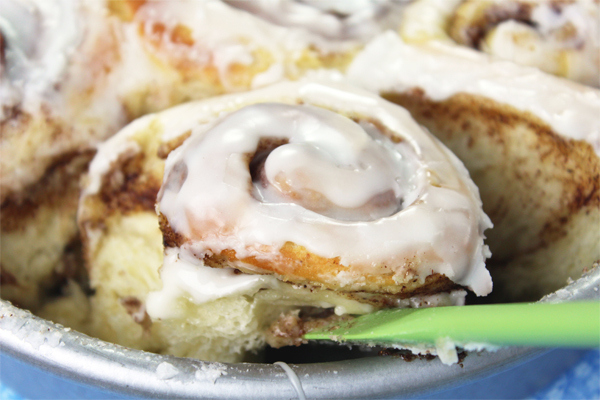 Cinnamon buns can be frozen for 1 month before baking. 1. Follow the instructions through forming into buns and placing in a pan. Wrap the pan well with plastic wrap and freeze. 2. The day before you want to serve the rolls, remove from the freezer and put them in the refrigerator to thaw overnight. 3. Next morning, remove from the refrigerator and let them rest at room temperature for about 2 hours. The buns should thaw and become puffy before baking. If your kitchen is chilly, it may take awhile for them to thaw. Bake and glaze per your recipe. I tried this and they turned out amazing! Thanks! Hi Jenny, i made this bun a few times and taste is so great. Recently i just bought pumpkin pie spice, can i add this spice instead of just cinnomon? Yes, you can use pumpkin pie spice instead of cinnamon in this recipe. Hey Jenny, Hi from M’sia and I made this recipe yesterday . It was so good. For my fillings I added chopped almonds & raisins as well. Like the recipe a lot. It’s easy and taste amazing. Thank you. Gonna make again for Christmas this year. I made this recipe and the rolls were perfect and so soft. 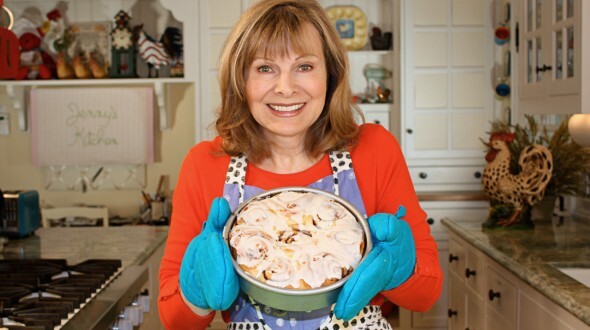 This is my favorite recipe for cinnamon rolls and very easy to make. thanks for the amazing recipe. I tried three others before yours. Yours is what i have been looking for. Do you think i can use this dough for steam bun like Chinese people do? Thank you. I’m sorry I have no experience with steamed buns so I don’t know. i tried the “overnight” plan and they turned out great! perfect texture and consistency and everybody loved it! Hi Jenny!! Let me start off by saying that I’ve made this recipe so many times and it turns out so well each time, not to mention all the compliments I get for them, so thank you for sharing!! I was wonder if the size the buns are cut into affect them rising? Also, if they are placed too close together in the pan, will that prevent them from rising as much as the yeast would let them if they had more space between? If my recipe is working for you it’s better not to make any changes. If the rolls are placed too close together they will probably rise up and if too far apart, they would likely rise sideways. I made these today. They were delicious! Could I substitute almond milk for the 1% milk? Someone posted below that they used almond milk and they turned out well. Hi Ms. Jenny, can i use full fat milk in this recipe? Baked these buns this morning, and they were amazing. second time doing them and they still didn’t rise . The 1st time I forgot that you were talking in Fahrenheit for the yeast … and this time I don’t understand what could have gone wrong? must be something because everyone succeed at it except me loool…. but what? (maybe dough not resting enough in warm place? ?). 1) The yeast was not fresh. Yeast has a short shelf and once opened, it should be tightly sealed (even small packets) and kept in the freezer. 2) The milk temperature was wrong. Check your yeast for the required temperature. Use a thermometer for accuracy. 3) You may have used the wrong size pan or a different flour. This is a proven recipe so if you don’t make any changes at all and follow the instructions exactly, with fresh yeast, it should work. Feel free to send me a list of all your ingredients and equipment and I will try to help further. I live in Trinidad. I was looking for a homade recipie for cinnamon rolls when I came across yours. I just made for the first time not one but two batches of your cinnamon rolls, one with nuts in it and OMG! 😍👍 They are so awesome, they came out so good, soft and delicious. I used coconut oil. I’m not going to buy those expensive ones again. This is a keepsake. I love your site and how you make it so fun and easy to learn you are an excellent teacher. I’ll be trying some of your other recepies. I love your cute little timers too. Thank you so much, may God bless you. I just made these cinnamon rolls expecting them to be decent, but I wasn’t hoping for much. They ended up being so amazing, just like the Cinnabon ones you would get in a mall. The only thing I recommend is if you don’t have a large mixer, it’ll kill your hand mixer, so kneading by hand for a little longer amount of time is probably best in that case. I also like mine with a little bit more filling, but that’s just me. This is a recipe I’ll definitely make again, so delicious. Hi Jenny I just made your cinnamon rolls and they were DELICIOUS my dad and sister loved them. Can I use a bread machine for the dough mixture? I’m sorry I have never used a bread machine so I don’t know. Yes, you can knead the dough in a bread machine but only let it ‘knead’ for 5 minutes. I have a Well-bilt dough machine that wants to knead yeast dough for 10 minutes and that’s too long for this cinnamon roll dough. I don’t do the batter phase. I just put my ingredients in the machine and let it run for 5 minutes. Also, I also weigh my flour (the first time is always trial and error) for consistent results because the amount of flour in a cup will vary day to day depending on humidity and the flour itself. Once I have that weight, then on further batches, I can just dump it all in and let it go, knowing I don’t have to keep adding flour until it’s ‘right’. I see a lot of recipes that use dark brown sugar. I have never used dark but I don’t think it would be too strong. Can I use an electric hand mixer? Would I still beat on high for 3 minutes and knead 150 times? You would beat it the same amount of time as long as your hand mixer is strong enough, and knead it the same amount of time. If the mixer is not strong enough, just combine the dough by hand and knead it longer, until the dough is smooth and elastic. My hand mixer is a 200 watt hand mixer and the highest level is 6. Is that okay because you said that my hand mixer has to be strong for the dough to be partially kneaded. The mixer does not partially knead the dough. It only beats the dough since it is still very wet (please see the video to see that it is not kneading, only beating). You can only try it. If the mixer slows down, you can finish by hand. Good luck! Can I use 2 percent milk? Hi Jenny, does the egg have to be at room temperature. The egg doesn’t have to be at room temperature but when baking with yeast, cold ingredients can slow down the rise. Can you leave the egg out of the recipe? Food allergy! The egg adds to the moisture and softness of the dough so I can’t guarantee the same result if you leave it out. Maybe you could look for a different recipe that’s already proven without egg. What type of brown sugar do you reccomend, light brown sugar or dark for the filling. Also, I don’t have a kitchen aid mixer, how long do I mix the dough in the bowl, how do I know how long to knead it ? How do you knead dough? Please see Niveditha’s question below (no mixer) and you can watch my video to see how to knead the dough. Good luck! I use light brown sugar for the filling. Please see Niveditha’s question below (no mixer) and you can watch my video to see how to knead the dough. Good luck! Can I make this with bread flour instead? Yes, bread flour will work but I think all-purpose flour makes a slightly softer cinnamon roll. Well I tried the cinnamon rolls with whole wheat flour & they came out pretty good. Should I have used wheat pastery flour instead of whole wheat flour. They weren’t as light as when I used reg flour. But they are still pretty darn good. They seemed to take a little longer to rise is that because of the wheat flour. To me, cinnamon rolls should be as soft as possible and they won’t be when you use whole wheat flour. However, if you want to make them with whole wheat, you would use whole wheat flour and not whole wheat pastry flour. Can I make these cinnamon rolls with wheat flour? Can I substitute the milk with water? I’m lactose intolerant. You could use water but they will taste better if you can find a milk substitute like soy milk, almond milk, coconut milk, or lactose-free milk. they are rising right now, we’ll let you know how it turns out 😀 would you like some pics? Yes! I love seeing the pictures! This is my 1st time baking cinnnamon bun. My dough is all sticky and i have to add more flour. I have no thermometer (not sure if it is the right name) to check on my milk and my one packet dry yeast is 11g. Are these2 errors caused my dough to be stick? I added oil as last ingredient too. With baking, even the smallest change can cause problems. First, the yeast should be 7 grams (see the recipe). And for sticky dough, the wrong temperature of the milk would not cause a sticky dough. It could just be the way you measured the flour or the milk but it’s okay to add some flour if it’s sticky, but not too much extra. Add just enough to make it workable. Adding oil at the end could be why it was sticky. With baking, it’s important to follow to follow a recipe exactly with no changes in the ingredients or the method. So try again, take your time, and let me know how it turns out. Hi Jenny I made cinnamon rolls many times using your great recipe. My friends and family love it. They even said it’s way better than cinnabon lol. I just want to thank you for sharing your amazing recipe. I wish I could remember but it’s been a while. It might have been at Sur La Table… or maybe World Market. Hi Jenny, I am beginner in the whole baking but I love cinnamon rolls and really want to make them. I have one question for you.. I don’t have kitchenaid or any other such tool to mix the ingredients for the dough making. Can I just mix it in a bowl before kneading it finally with my hands? Would this work well? Please suggest. The mixer only reduces the kneading time so you can make this recipe all by hand but you will have to knead the dough longer, until the dough is smooth and elastic, which could take 8-10 minutes. JENNY!! i made this today and OMG they came out so soft and delicious!! im so glad i had a craving for them and went on Youtube and found your recipe! THANKYOU! I added a little bit of brown sugar to my 1/4 cup of sugar that the recipe asked for also i added 2% milk instead of 1% i used vegetable oil instead of what the recipe asked for! even with the small changes i made they cameout delish and very soft!! THIS ARE BETTER THAN CINNABON DEFINETLY! Can the dough be used for anything else? I’m glad you liked it. I think this dough would also work for sticky buns. Can I use an 8 inch spring form pan? Yes, a springform pan is fine for cinnamon rolls. Jenny may i know how long did you preheat your oven after you put in the rolls? I preheat the oven for 20 minutes to reach 350 F but some ovens may take a little longer. An oven thermometer is the best way to know when your oven is ready. Thanks for your reply, my oven is smaller than yours and my oven don’t have thermometer, so isn’t the same timing to preheat 20mins? I will be trying this recipe! A very enjoyable video as always. I am a silver citizen now. When you patted the dough, your hands reminded me of my precious Polish Aunt Annie, my Mother’s sister. She could prepare any of my Grandmother’s recipes from memory. Aunt Annie baked with a wood stove. Thanks for that “flashback”. And I COULD imagine the aroma precisely. Hi! Thankyou so much for this amazing recipe..I love to bake and yours is so much easy to make I’ve been baking this since last year and everyone who took a bite loves it..specially my husband..man that guy love it so much that he can finish the whole batch in one sitting.. Thankyou so much! My rolls did not rise. I was wondering if you could tell me what you think happened? 1) The yeast was not fresh. Yeast has a short shelf and once opened, it should be tightly sealed (even the packets) and kept in the freezer. 2) The milk temperature was wrong. Check your yeast for the required temperature. 3) You did not have a warm spot to rise. Dough will rise at room temperature but it will take longer. can you use baking powder instead? No, not with this recipe but you can probably find cinnamon roll recipes that are made with baking powder. However, the best cinnamon rolls are made with yeast and this is a pretty simple recipe. Love love love this recipe!!! I’m making it again right now 🙂 also love the fact that it won’t take me all day to make. I’m making them to snack on in class tomorrow! I just saw your video on YouTube and I was so excited to try your recipe. I followed your directions exactly and unfortunately this recipe as well as my other attempts at bread and pizza dough resulted in a VERY wet dough that I couldn’t knead. I had to add about 1.5 cups more of flour in order to get it to where I could take it out of the kitchenaid bowl. I’ve been trying to troubleshoot why this keeps happening. I’ve tried starting with wet, then adding dry or starting with dry like this recipe and adding wet. Any thoughts you have would be greatly appreciated! Let’s try and figure this out because almost everyone has had success with this recipe so there has to be an explanation. Can you start by telling me exactly what brand of ingredients you’re using, i.e. the brand of flour, yeast, milk, and oil, and also what are you using to measure the flour as well as the milk (what kind of measuring cups)? Let’s start here so we can figure this out. I want my recipes to work for everyone so please write back. I have made this cinnamon rolls twice! It is the best for me. I would like to have a change of filling to ham and cheese, but have no idea of the spread that would go along with it. I would appreciate your advice. Thank you very much fir your suggestion and advice. I made this recipe today and the cinnamon rolls were more then awesome. Thank you Jenny. I just found your site just a week ago and I have had so much fun making your recipes. I have loved all the recipes I have made so far. I made the whole wheat bread, and the spaghetti and meatballs. It all has been amazing. i want to make these today but i am wondering if i can half the recipe and if so do i have to change some part of the recipe?? Well I guess you could half the recipe. You would have to use 1/2 an egg and also use a pan about half the size of the 8-inch round. I’ve halved some recipes and it’s not very easy but I hope it works for you. Half! Holy No! I have a suggestion for you. Before you half a wonderful recipe like this. You should freeze what you have leftover to eat another day in Freezer Zip lock bags first! They are great to take out of the freeze and put in a lunch sack for an easy work day dessert or when friend drop by. Followed the recipe but my rolls didnt rise the dough was quite wet and only got my milk to 100 degrees faranheit as the milk in the jug felt like it was boiling hot and I was afraid Id kill the yeast. Just wanted to check that the milk was hot (I heated in microwave) is this right? and if it wasnt 110 but say 100 degrees would this be the reason why my rolls didnt rise. If you used active dry yeast the milk should be at least 110 degrees so that’s probably the reason the rolls didn’t rise. (If you used instant yeast, the milk should be 120). Another reason could be that the yeast was not fresh. Yeast has a short shelf life and I keep mine in the freezer once the package is opened. “Red Star Quick-Rise Yeast for Bread Machines and Traditional Baking”-how much to measure from this jar? Is this type yeast ok to use? I’ve seen the clay disc at cooking stores like Sur La Table and at Bed, Bath, & Beyond or you may have to look for it online. The yeast you have is fine for this recipe as long as it’s fresh. Once opened, yeast loses its strength quickly. My printable recipe indicates the amount to use in teaspoons, grams, and ounces. (2 tsp/7 gms/1/4 oz). I hope that helps. yes, thanks that helps. Also, my oven must be different as in only 15min, at preheated 350 oven mine were still pale , tho sticking plastic knife in them,didn’t bring back any goo, so they were done-so will try few more min’s to get golden I guess? Also the dough where you said to ad up to 1/4 cup more flour to make a ball-mine took 1/2 cup and little more, as batter was really moist and when I tried yanking it out of bowl it still stuck to everything! Maybe my one egg was allot larger than yours? That’s only difference I can guess? I didn’t have any powdered sugar, so found a recipe for brown sugar frosting, so trying that-and added a touch of coffee flavored milk and cinnamon to the brown sugar recipe too! Can’t wait to try! Almost everyone has had success with this recipe so make sure you follow the instructions exactly with no changes, not even the smallest. Are you using all-purpose flour? How are you measuring it? What kind of milk are you using? Let me know. I don’t use canola oil, only vegetable and extra virgin olive oil. Would either of those work or will it mess up the flavor/texture of the rolls? Please see my recipe. I use extra light olive oil but vegetable oil is okay too. May I know what milk are you using? Is Evaporated milk work? Love your video : ) Thanks. I use 1% milk, which is reduced fat but I think you can use evaporated milk, which is heavier than 1% milk. If the dough is too thick for your beater you could probably thin it out with a little water. Thank you for your reply, will do it one day..
Hello! I am so excited to try this recipe. Can i use elle n vire whole milk and saf instant yeast? Thank you! Yes, you can use whole milk and SAF instant yeast. I’ve been making cinnamon rolls for awhile now- my fav thing to bake. this is the BEST dough I’ve ever worked with. perfect texture and consistency and I’ve never had better rolls come out of the oven. can’t wait to double the recipe and share with family and friends. so glad I found this! Found your video on YouTube for these and they were amazing!! So easy to make I wanted to eat them all haha. Will definitely be trying more of your recipes, nachos is next on the list!! Hi jenny i made these cinnamon rolls and they were gr8 i love your recipe i will share this with my friends..i have tried many other recipes but all failed..this one is perfect there r soft..yummmm..keep up the good work..thank u soooo much for the recipe..
omg Jenny made these yesterday..hubby loved them so much I am making another batch today also made your cabbage rolls yummy!! Love your recipes am making your apple pie squares now!! looks delicous whats a substitute i can use instead of milk? Also if i make dough night before i refrigerate with filling or just dough in a plastic bag? How to you recommend doing this? For overnight rolls you would refrigerate after step #10 so they would be filled, rolled and cut, then placed in the baking pan, covered and refrigerated. As for the milk, I hesitate to suggest a change in this recipe because I don’t know how they would turn out without milk. If you have an allergy, you may be better to look for a different recipe that does not use milk. used almond milk. was delicious!!!!!!!!!!!!!!!!!!!!!!!!!!!!!!!!!!!!!!!! i finally found the greatest cinnamon buns and my husbands favorite treat. Jenny do you think i can freeze the dough? I have never frozen my dough for cinnamon rolls so I’m not sure if you can freeze it. I know that freezing can kill yeast and I can’t find anything online about it. You could try looking to see if you find any recipe where they freeze the dough but my guess is it’s probably not a good idea. Followed along also with the video / they were very simple and again came out wonderful…. These are absolutely amazing! They come out perfect every time! For the icing I added more powdered sugar to make it thinker, and I only put the cinnamon buns in for 12-13 minutes. But the rest is perfect! No one can believe that I can make these from scratch! Delicious! Have you ever doubled your cinnamon roll recipe to get 16 rolls? No I haven’t but I think you could and use two pans. These are fantastic! I am not missing all the butter and extra sugar. Love your videos. They are so informative and entertaining. You are a women of my own heart. I grew up on my mother’s German cooking and love so many of her recipes. I like all your healthy modification without losing the flavor. I can’t wait to try more recipes. So glad I found this website! I’ve just tried and tasted your buns. They came out as soft as a freshly home made white bread with an aroma of sweet cinnamon only they’re swirled. In fact they remind me of those hot cross buns we have here in Australia every easter(store bought) only it’s home made made by me of course courtesy of Ms Generous JJ. Jenny I love the way you cook, I made the cinnamon rolls and the came good. love it. thank you for all your recipes. God Bless U. Just saw your clips on the cinnamon bun. Love it. Gonna try it out tonite. By the way, do you think I can turn this into a savory roll by putting ham and cheese as the filling? My opinion won’t help much because I simply have no idea about this. It’s a sweet dough to begin with so I’m not sure how it would work. You might be better off using a pizza dough, which has more structure. I took your advice and used pizza dough for the savory roll. And I followed your pizza dough recipe. It was really easy to follow and the results were great. By the way, I made this cinnamon buns as well. Came out perfect. And I thought kneading was such a tough job. You definitely changed my perception. Your video makes it simple for me to follow. Thanks Jenny. I will try more of your recipe. Could I substitute the initial ingredient of 1 1/2 cups of all purpose flour with almond flour or a portion of almond flour, or would the texture be off kilter? Sorry, I have no experience baking with almond flour. Thank you So Much! The recipes is so great . I have tried it twice and they come out lovely just perfect. Just whipped up a batch of these and they are DEVINE!! I changed the glaze a bit by starting with 1/4c Whipped cream cheese, then added the powdered sugar and milk (although I cut back on those a bit, just to get a nice consistency). Worked great!! I only had a 9″ spring form pan. After letting them cool for 10 minutes, I just loosened the buns from the sides of the pan with a knife, then removed the sides of the pan. When I drizzled the topping on, it oozed over the sides of the buns. This was what I call a “happy mistake”. One question…how do you stop eating these??? Love to cook but have stayed away from baking (except biscuits). Afraid I won’t stop and gain lbs and lbs. my question is… Don’t have deep 8 in round pan. What other size will work without changing recipe? I cannot wait to make these for my family!!! We love cinnamon rolls! can i use the regular sugar for glaze instead of powdered sugar? Hi Ms. jenny..ive tried already your recipe and its turns delicous..but im not a fan of sweets but i like cinnamon roll..
Have tried two of your recipes so far, and both were delicious – the lemon brownies, and the meatloaf. Trying these cinnamon rolls next. But think I will make an orange glaze instead – pillsbury used to make cinnamon rolls with orange glaze when I was a kid, and the flavor combination was amazing. Looking forward to making these this afternoon! I have put orange zest in the filling of these and orange glaze on top. Mixed powdered sugar and a little orange juice( enough to make the sugar melt in.) it was delicious! Instead of cutting this into buns can i put this in a loaf pan and make cinnamon swirl bread? I have never done it but it seems to me it would work. Can you tell me the ingredients but doubled ? Mathematics is crucial to working with recipes. You would simply multiply every ingredient by two, which should be easy to do. Let me know if you are not able and I will do the math. Hi Jenny! I was double your recipe for cinnamon rolls and i did not work! 🙁 yeast Dough did not rice and stay hard 🙁 Help!!! It’s a good idea to make a recipe the way it is written at first and then you can experiment. Baking does not always have flexibility so I suggest you make the original recipe first and let me know if it turns out. If you follow my recipe exactly I don’t think you’ll have a problem. Please do that first (with no changes) and let me know the result. Thanks Jenny for a great recipe. I made this – it didn’t brown well. I am planning to increase the time from 15 minutes to 25-30 minutes next time? What do you think? You are amazing Jenny. Thank you for your quick response. I am going to replace brown sugar with Jaggery (same qty) and try your easy peanut butter cookies. Is that okay? Well, we won’t know for sure until you try so please report back so others can learn from your experience. Just found your recipe and can’t wait to try it! I have a family tradition of making cinnamon rolls every Christmas morning so the family wakes to the great smell. I have made many recipes but they are only ok and they make so many. This will be perfect! I was wondering if I could make them ahead of time and freeze? At which step would I put them in the freezer and how would I go about to defrost and bake? I’m always worried about killing the yeast. Follow the instructions through forming into buns and placing in a pan. Wrap the pan well with plastic wrap. The day before you want to serve the rolls, remove from the freezer and put them in the refrigerator to thaw overnight. Next morning, remove from the refrigerator and let them rest at room temperature for about 2 hours. I love this recipe Jenny! Thank you so much for sharing it! This recipe froze very nicely! And since I was only freezing them for a short time I wrapped them in one layer of aluminum and defrosted them just 45 minutes before baking them. They came out beautifully! I make them with almond milk and also add dough enhancers so they were dairy free and extra soft and fluffy! Jenny you are amazing! I can’t wait to check out more of our recipes!!! Hi Jenny can’t wait to try these. I live at 5280 ft. If I cut the yeast in half and add 2 extra TBSPS of flour the rolls will rise and bake correctly? Should I make other adjustments for this altitude?. I love this recipe for being a smaller and manageable amount. hello ms jen..i just want to ask about the 1% milk?..can i use ordinary fresh milk?..thank you..thus will be my first time in baking..im sorry for being so naive in asking about the milk..thank you. It’s not naive – a lot of people ask about using whole milk. Yes, you can use whole milk, which has more fat than my 1% milk. I only use low fat 1% milk (this is milk with just 1% fat as opposed to whole milk, which has about 4% fat content). I’m just trying to keep the calories down but it’s not a big difference to use whole milk. Good luck with your first baking! It’s great that you are baking so young! To beat the dough for 3 minutes, it has to be fairly moist or the mixer won’t be able to beat it if it’s too thick. But to knead it, the dough has to be more of a ball that you can pick up. So after you beat the soft dough, you have to add some additional (extra) flour, about 1/4 cup, to thicken the dough into a mass or a ball so you can knead it. There is a video right below the recipe and it might help if you watch how I do it. Good luck with your baking! How many grams are 1 package of active dry ? I’m 13 years old and I would cook it today for make my class and English professors taste it . Sorry if some words are false . I’m french . They are soooo delicious ! I love cinnamon rolls ! Thank you for your recipe Jenny . update***just eating my second warm cinnamon bun( I have been sharing it with my 19 month old son and the baby girl in my belly ;)…its fluffy and flavourful and moist and just the right amount of sweet without being to cloyingly sweet!! great great recipe Jenny!! am I sure glad I stumbled upon your site!! I want to make these and freeze them before baking so I can have em on hand! Thanks for a great recipe! Just making these now. They are rising in the baking pan. The dough was a breeze to work with- much better than my usual recipes. I love that this is a small batch recipe(My usual recipe calls for 4-5 cups of flour, and a ton of milk, eggs and butter) and also has only one rise as opposed to the traditional 2-3 rises. .! I softened the yeast in 1/4 cup of the milk called for in the recipe- out of habit and I added a pinch of cinnamon to the dough as well- just cuz I like cinnamon. Can’t wait to see how these turn out. i will post a review about the taste and finished product.. Made your marble cake recipe late last night, and today there is only about 1/3 of a loaf left! my b/f enjoyed it, and my 19 month old is enjoying it now as I type!! You might be my new go-to person for great recipes!! turns out ur good at more than just talk shows!! Way to go Jenny! you are awesome! Keep up the great work! I used to be anxious about yeast too but not any more. I’ve learned that unless the water is boiling hot and kills the yeast, a wide range of temperatures will work for any yeast, active or instant. The difference is that if the water is not warm enough, the rise will just take longer. My no knead bread (the overnight version) uses cold water and it still puffs up overnight and rises beautifully when baked. So don’t let yeast intimidate you. Take your best shot at the temperature of the liquid and the dough will rise. Just be prepared to wait if it’s a little slow. By the way, even MY yeast baking is never the same twice. Some days it rises faster, other days slower, and I bake a lot. I use active dry yeast and instant yeast interchangeably without proofing – I just add them to my flour. Now go make some cinnamon rolls! My name is James Mather and I’m a 10 year old who lives in holland. I love to bake but have no eggs right now. Is it possible to make these without eggs? I have never made them without eggs and I searched all over for a recipe without eggs and can’t find one. The best thing about cinnamon rolls is the soft pull-apart nature they have and that comes from the egg. So I’m sorry I don’t know of any substitution. If you can wait until you have eggs, you will love this recipe. Meantime, you could try my chocolate cupcakes or red velvet cupcakes, both of which do not need eggs. It’s good to hear from such a young baker. I imagine this makes you popular with your family and friends! Thank you very much for your quick reply. I do have eggs now and will be making these cinnamon rolls in a few hours! Hi, for the person who wanted a recipe w/o eggs check out, cookingshooking. A 16 yr old from India does an eggless series and his rolls with more sugar would be perfect. I made these and they are really soft. Just mix like Jenny does instead of on the counter as he does. I love Jenny’s paddle mixer idea! Why didn’t I think of that! 🙂 Oh yea, and of course fill and ice using Jenny’s recipe. Thank u for your infectious joy of cooking Jenny. You can use regular whole milk in this recipe. Our 1% milk is a reduced fat milk and I use it to reduce calories but whole milk will work in this recipe. If you don’t have a thermometer, just remember that the body temperature is 98.6 (37 c.) so the milk should feel fairly warm to the touch but not too hot. I’m sure you can make this recipe with what you have. Hello! My name is Abigail and I am 14 and in 4H, i’m in the food challenge and i wanted to make something good and well… I found your cinnamon rolls (they look really good) but i wanted to twist the recipe because i’m diabetic and I wanted to be kinda health too and not spike my blood sugar as well. I was wondering if i could substitue somethings to make it not spike my sugar so much! Instead of Sugar would I be able to use Splend or Stivia?For butter would I be able to use Blue Bonnet or I can’t belave its not butter? Since butter has a lot of fat? And for powdered sugar? Should i just leave it alone or use Sugar free powdered sugar?? I’m sorry I have no experience baking with splenda or stevia. You may have better luck using a recipe specifically created to use these ingredients. I wish I could help more but I do applaud you for your interest in cooking at such a young age. Hi I’my haley and I’m just turning 13 and I was wondering if instead of using a package of active yeast I could just use normal yeast. For the Cinnimon rolls. Thanks. That’s a tough one. And I’m sorry I have no idea how you can make cinnamon rolls this way. If you can find a bread flour recipe that uses rice flour and no eggs or yeast, you can use it to make cinnamon rolls. I searched around but I’m at a loss to find one. Jenny I just finished making these!! Wow they are so delish!!!! So far I have tried three of your recipes, and they are all Keepers!!! Thanks for sharing!! I made these earlier and they came out sooooo gooood!!!! I have to be honest, I was skeptical because I’m still a beginner to the yeast world, but I think I’m going to make more later this week. So, just to be clear, I wont be mixing the dough for three minutes by hand right? I’ll just kneed for 200 or more like you replied to jenny right? That’s right. You will just stir the dough together and then knead. Could I replace the canola oil with vegetable oil? Yes, any vegetable oil will work. can’t wait to try this, but one thing that i want to ask, if I’m going to use a dough hook for kneading, how many minutes to process before you get the right texture of the dough? many thanks! I wish I could say for sure but I don’t use my dough hook. From what know it should take about half the time to knead with the dough hook. So I would check it after about 2 minutes and if it’s smooth and elastic, it’s ready. I have make your cinnamon roll yesterday it was so delicious especially the icing frosting. it was easy. For second prove, I only prove for 1 hr and it still turn well. Jenny, I just made these tonight and they were awesome!! My son has been bugging me to learn how to make these because I won’t buy them from the store. I may add little cream cheese to topping next time. Can I substitute water for the milk in your cinnamon rolls? I cannot use almond milk either. I have only made them with milk. I suppose you could but I expect they would not be as moist. And you might not need as much flour. I wonder if you could add an extra egg yolk? Or a tablespoon or two of softened butter? That’s all I can think of. Please see my response to Linda just below. I am delightful for finding this recipe of yours, i’ve used it many, many times already and this is my favourite recipe among all the ones that i have found. At this time, a batch of it is resting in my kitchen for an hour now and i can’t wait to bake them and then eat one! Oh and i also use this recipe for my orange rolls too… thank you so much Jenny! Omgosh!!! this is by far the most DELICIOUS and GOOOOOOOOEY cinnamon rolls I’ve ever made. My son loved it and my husband wants me to make some tonight for his meeting tomorrow. Thank you so much. God bless you! Honestly, this is THE best cinnamon rolls recipe I’ve ever eaten AND tried. Thank you! I made these this morning. Yummalishous!!!!!!! I just discovered your blog (I watched your show all the time back in the day), I think I pinned about 40 recipes on pinterest and all my friends have re-pinned them. Thank you so much for re-inspiring me to cook. My husband and I have been married 42 yrs and it’s just the 2 of us now. Was burned out cooking for awhile, but now I’m back. My husband is forever grateful to you. hi! I want to make these cinnamon buns but I’ve never worked with yeast before. Can I add the yeast to the milk , and THEN add it to the flour mixture, just to make sure the yeast has activated? Yes, you can proof the yeast in milk although if you have an instant-read thermometer it’s not really necessary. But I know a lot of people still proof their yeast so after it’s proofed, you can just add it to the flour mixture. Good luck! p.s. Check your yeast package for temperature. Active yeast (like I used) requires 110 degree milk and instant yeast requires 120 degrees. I love your cinnamon bun recipe. Turns our perfect every time. Jenny! I’ve just discovered your wonderful blog and this recipe and tutorial video. This is the best tutorial I have ever seen. Yeast dough has kind of been my nemesis, but through your tutorial I feel like I can master yeast dough 🙂 I love your healthful tips as well. Your soothing voice, enthusiasm and evident love of baking ( & cooking) is all so contagious. I wish you lived next door 😉 Thank you for sharing your recipes, advice and knowledge. Now, off to read more of your blog and try your cinnamon roll recipe. YUM! I’ve tried this recipe a few times now and they are very good. Although sometimes my dough comes out way too wet and 1/4 cup extra is not nearly enough. Would it matter if I cut the milk back to 1/3 instead of 1/2? Or maybe 2 tablespoons of oil instead of 3? The dough is really hard to work with when it’s so sticky! I must be doing something wrong. It sounds like you’re a baker and know what to do. I would probably try less milk first. If you reduce the oil, they may turn out a little dry. If the dough is still wet, I see no harm in adding more additional flour until it’s workable. Yeast doughs are unpredictable and sometimes I’ll make something a dozen times and then the 13th time, it doesn’t work. I did some research and there seem to be two ways to freeze them. One is to roll, cut, and place them in the pan and freeze without rising. Let them thaw overnight in the fridge, set them out in the morning to warm up and rise, then bake and frost. The other way is to bake them, do not frost, and freeze. Then thaw them in the fridge overnight and warm them up in a low oven in the morning and frost. That’s what I would do. Bake them first, then freeze, so all you have to do later is warm them up and frost. This recipe is super easy and really recommended. I tried it twice. the second attempt was more successful and fluffy. i rest the dough longer about one and half hour before roll and another one and half hour rest before bake. Hi Jenny, this lookis amazing! Do you think I can substitute almond milk for the 2% milk? I haven’t done it but I think it would work. Please let me know so we can share the info with others. Hey jenny i dont have a kitchen aid to mix the dough on high for 3 minutes, how will i do that for 3 minutes? No problem. You can mix by hand. Using a mixer reduces the kneading time, so if you mix the ingredients by hand, I suggest you knead it a little longer, maybe 200 turns or more, until the dough becomes smooth and elastic and springs back when you poke it. What if i dont have 1% milk? I only have whole milk at home, does that make any difference? Whole milk is okay. I use 1% to avoid too much saturated fat. I’m glad I scrolled down and read this comment because I was just about to post the same question. I might be making these today; we’ll see what happens! I have seen Homemade Cinnamon Rolls then l let my mum make .It is very easy and I helped her l love it….. I just made these a few days ago, and there were AMAZING! Your video made it super easy to follow along. I had all the ingredients, at my house already which is a huge plus. They also taste AMAZING! I’ll be making these ALL the time and p.s. the floss idea worked GREAT! I just baked them. Delicious. I’m so glad that I did not have to use any butter!!!. And they are perfect. I made the “lemon version”. It means : as a filling I used 1/4 cup of white sugar and the zest of 2 lemons and half an orange. The frosting I prepared with 1 cup of powdered sugar and 2 tablespoons on lemon juice. They smell and taste gorgeous . Thanks for great recipe. Best. Hi Jenny, If I don’t have one of them nice mixers, can I do all the mixing by hand? After watching your videos I went to walmart but, they are so expensive. Of course you can mix by hand. Using a mixer reduces the kneading time, so if you mix the ingredients by hand, I suggest you knead it a little longer, maybe 200 turns or more, until the dough becomes smooth and elastic and springs back when you poke it. Good luck! I’ve never baked yeast bread, the thought of using yeast scares me! Your recipe and video instructions made it look so easy, I’m going to give it a try. I’d like to add golden raisins, is that possible? If so, I’m assuming I would sprinkle them on top of the sugar cinnamon filling. I was googling cinnamon rolls and up popped your healthy recipe. 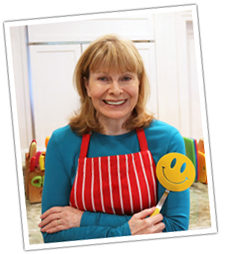 I wasn’t sure if it was “that” Jenny Jones and I was pleased to see it was and that you have an awesome cooking site! I love that your cinnamon roll recipe is a healthier version of this yummy treat! I made them today and they didn’t take all day like some recipes. Wow, we’re they ever delicious!! Got rave reviews from family! Do you happen to have the nutritional info on these rolls? I would really appreciate it! Thank you in advance. I’m sorry I don’t have the nutritional details on my recipes. I just try to eat as healthy as I can while enjoying everything in moderation. I’m glad you like the recipe. Made your cinnamon roll recipe. They are excellent. I enjoy watching your utube videos. Hi Jenny! I made your recipe and it was fantastic! And so simple! Gave it a go. Guestimated my milk with the finger test! Would that have anything to do with them not rising? Yeast can be a little tricky. If the temperature is too low, the dough won’t rise and if it’s too hot, the heat kills the yeast and the dough won’t rise. Also, if the yeast is not fresh, it may not be effective. I will say that I still have occasional failures with yeast. Even after making the same exact yeast recipe many times, it still happens that once in a while, it just won’t rise. And I have no idea why. What brand are you using? I’ve gotten away from instant yeast and now use only regular active dry yeast. Don’t give up. It took me a while to get the hang of yeast baking. Spent the day looking for an instant heat thermometer, no luck. Am gonna have another go tonight. Am using an active yeast too surebake brand think its made here in NZ. I’ll keep a watchful eye. Dental floss trick was my favourite part! Whipped up your peanut butter cookies after my failure so not a total loss. Thanks for quik n easy recipies. Tamara, You can get a instant read thermometer from thermoworks.com. They have several models to choose from, my favorite is the Thermopen. It’s kinda pricey, but worth every penny. Hi! What would happen if I used wheat rather than white flour? Or better yet, I have one that is a combo of wheat, flax, and Quinoa. Would it still turn out okay texture-wise? I know the overall flavor might be a little bit off. Thanks! I love so much your cooking…… I am vegan so a replace some things and it’s still work out, you are a great teacher…. but I have 2 questions about this recipe….how much yeast in grams do you put? it’s 7 or 14 grams? and the milk…. it’s 110 Celsius? because if it is the milk will be really hot…maybe Fahrenheit?, thanks for all the great things that you show us and have a wonderful day. One packet of yeast is about 2 teaspoons or 7 grams. And the milk is 110 degrees fahrenheit. I hope that helps. Thank you very much….I am going right now to do it again!! yummy!!! What did you use for egg replacement? Flax and water? I have the whole wheat bread rising right now – seems okay with that sub so far. Those cinnamon rolls look awesome. If I use butter instead of oil, how much butter would I need for the dough? I think I would use the same amount as the oil, so 3 tablespoons of melted butter. Let me know how they turn out! YUM! These turned out better than I thought that they would. Thanks so much, Jenny! So far all of your recipes are delicious.